When we think of boomtowns, it is often in a fantastical imagination of how the West was settled. Amazingly though, these settlement patterns have started to reappear in the modern age. With the optimization of hydraulic fracturing and other well drilling techniques, subsurface geologic formations that were once ignored are now producing millions of barrels of oil and billions of cubic feet of natural gas per day. To access these resources, oil and gas companies collectively need hundreds of workers and millions of dollars in equipment at the sites of extraction. With this massive mobilization of resources to production regions, many rural communities rapidly expanded to accommodate drilling crews and businesses. Our research examines the emergence of boomtowns in south Texas in response to increased petroleum production from the Eagle Ford Shale. In October 2008, the first oil and gas wells were drilled to little fanfare. But by June 2016, there were over 15,000 wells. Each well brought more workers and resources to a region that was once in severe economic decline. Local governance officials were quickly overwhelmed and conflicted as their community’s economic vitality was increasingly linked to the price of oil. Our investigation explores the major economic consequences to boomtowns through interviews with economic development stakeholders. We found that respondents indicated concerns about the deterioration of roads, high housing demand, and skyrocketing wages. We then theoretically linked our findings to a Science article written by John Gilmore in 1976. 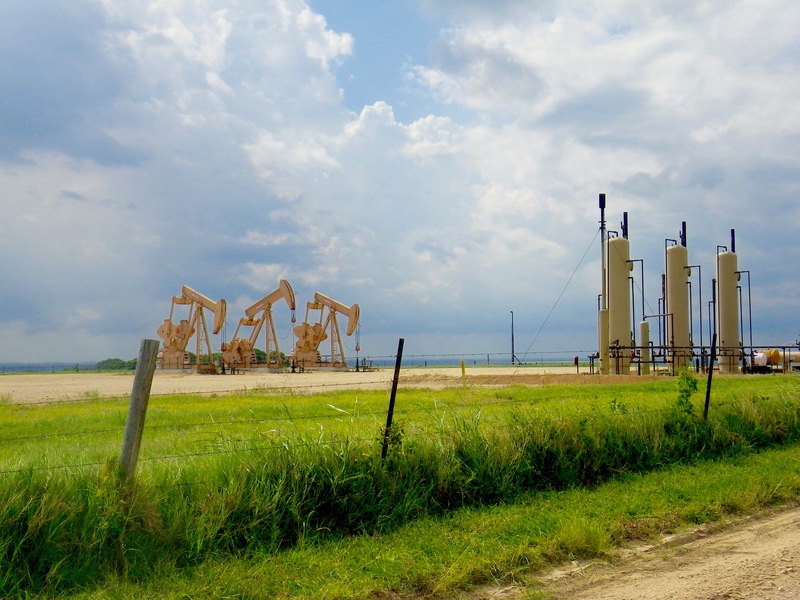 With the proliferation of hydraulic fracturing technologies across the United States and worldwide, boomtowns have reemerged in many locations. We hear stories of towns buckling under the pressure of explosive population growth associated with the increased exploration of oil and gas in communities from North Dakota to Pennsylvania. Despite this though, we know relatively little about the policymaker experience of reacting to that growth. Our study examines that experience of managing growth in a boomtown. Furthermore, we offer an illustrated model of boomtown growth that can help policymakers prepare for boom time conditions. Additionally, we discuss growth management methods that can help communities prepare for the eventual bust in extraction. Finally, our research demonstrates how community economic development officials reacted once a sudden bust in oil and gas extraction eclipsed the boom and created uncertainty for communities that had become dependent on petroleum production. Economists have produced many econometric studies of regions experiencing explosive growth associated with oil and gas drilling, however these numerical approaches do not completely capture the experiential nature of living in a boomtown. This was especially true for the Eagle Ford Shale. Alternative social science approaches that capture the boomtown wax and wane almost in lockstep with the historical emergence then disappearance of boomtowns. Therefore, our work draws from previous boomtown studies of the 1970s, 1990s, and 2010s. Specifically, we strongly link our findings to John Gilmore’s 1976 Science article as well as work carried out in Australian, North Dakotan, and Pennsylvanian contexts. As boomtowns emerged in south Texas, three major speed bumps slowed economic development. First, roads quickly deteriorated under the large trucks that are used to drill and service wells. Each well requires approximately 1,300 truck-trips, which is then multiplied across the 15,000 newly drilled wells in south Texas, that quickly destroy rural roads that were built to only to handle a small volume of vehicles. Second housing—both too much and too little—came up frequently during our interviews. Many South Texas communities encouraged the construction of temporary accommodations in the form of hotels, motels, and RV parks that then became a liability once production slowed. 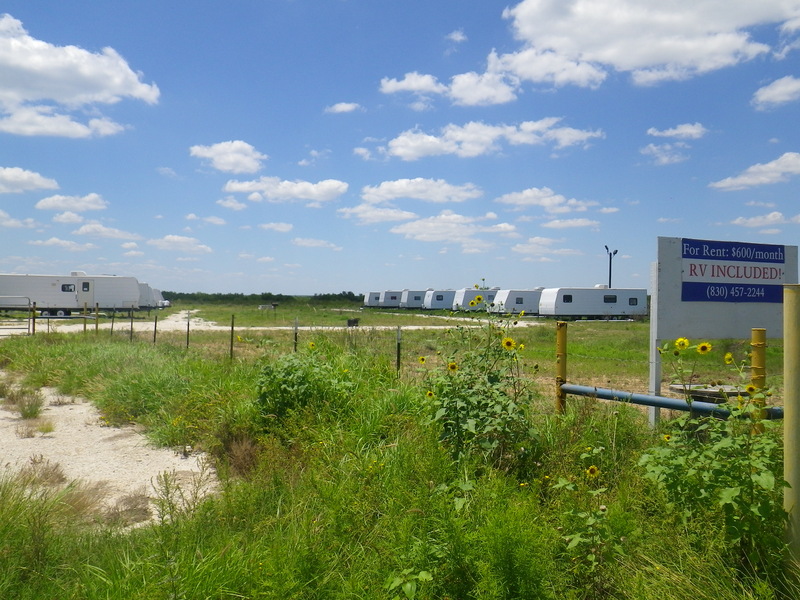 However, many stakeholders also lamented that they had too few permanent housing options to capture workers who had temporarily moved to the region to develop the Eagle Ford Shale. Third, local economic development stakeholders were distressed by the skyrocketing wages during the boom. Because of the way local governments raise revenues, their budgets are not very responsive to sudden changes in economic production. Therefore, many communities were unable to raise wages to a level that competed with oil and gas companies. As a result, there was a shortage of police, road workers, border guards, teachers, and coaches. Our research brings John Gilmore’s 1976 Science article to the foreground and reinvigorates his theoretical contributions for the realities of unconventional oil and gas drilling. 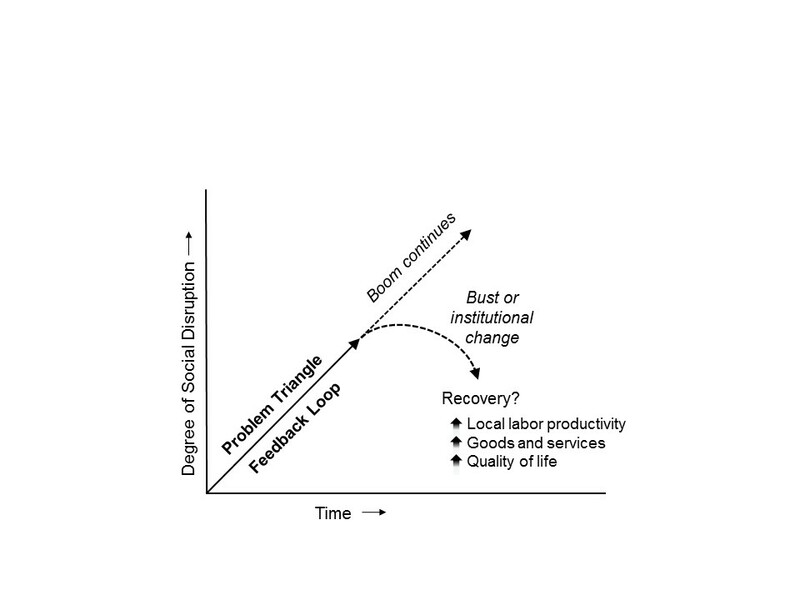 In doing so, we modify his “problem triangle,” which is a feedback loop of how boomtown growth can be detrimental for the community. Our updated model can provide a theoretical foundation for future studies of boomtowns. Additionally, we integrated findings from multiple studies that demonstrate how boomtowns react over longer time periods to create a secondary model, which shows the methods to disrupt this negative feedback loop. The spatial differences of economic development are important drivers of geographic research. Specifically, geographers have frequently examined resource-driven economic development at the country or region scale (such as the “resource curse” or the “Dutch Disease”). 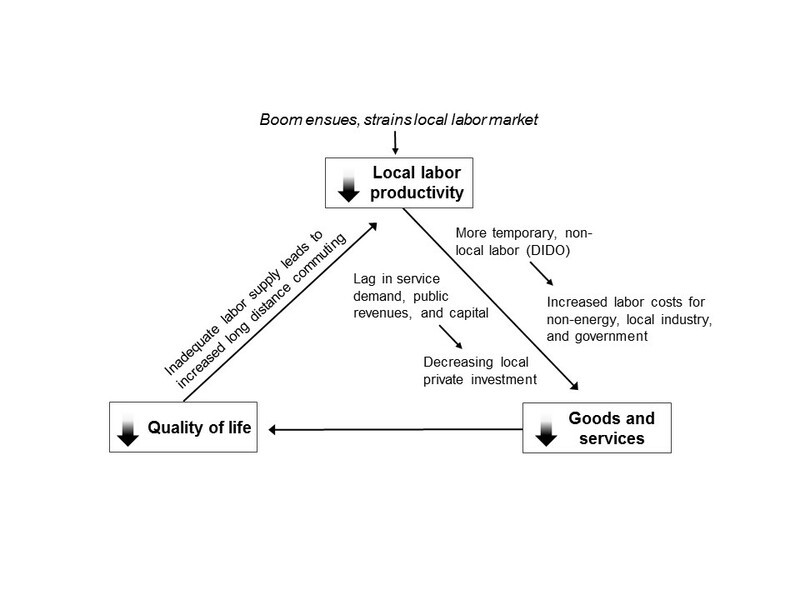 However, economic development is experienced in sub-regional or local contexts. Therefore, our research encourages local or regional approach to spatial economic development inquiry. Furthermore, it is important to recognize how economic development is experience differentially in a sub-region—something our investigation explains. Temporary accommodations built to house oil workers.